Successfully Added 7 Inch Kids Portable DVD Player - Wide screen TFT Color Display, eBook, FM Radio, Game Controller, TV Antenna (Black) to your Shopping Cart. 7 Inch 16:9 wide screen display offers both amazing entertainment and portability. Watch in movies in top quality, read an e-book, or chill while listening to FM music. 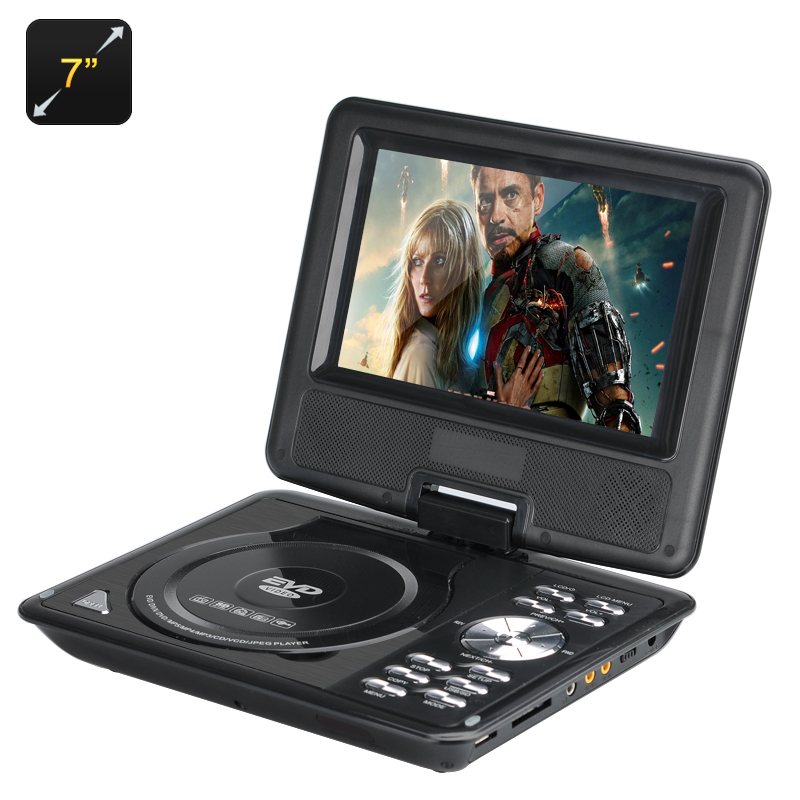 Let your children play games at home or bring this portable DVD player into your car. Comes with free game controller and TV antenna. Multilanguage support: English, Chinese, German, French, Italian, Spanish, Russian and Portuguese. This 7 Inch kids portable DVD player with wide screen display lets you watch movies, read e-books, or listen to FM music. With game controller and TV antenna there are hours of fun and entertainment to be had and the 1600mAh battery lets you enjoy the fun anywhere for up to two hours after each charge. A great way to keep the whole family entertained wherever you are and this 7 inch portable DVD player comes with a 12 month warranty. Brought to you by the leader in electronic devices as well as wholesale portable DVD Player, Chinavasion..